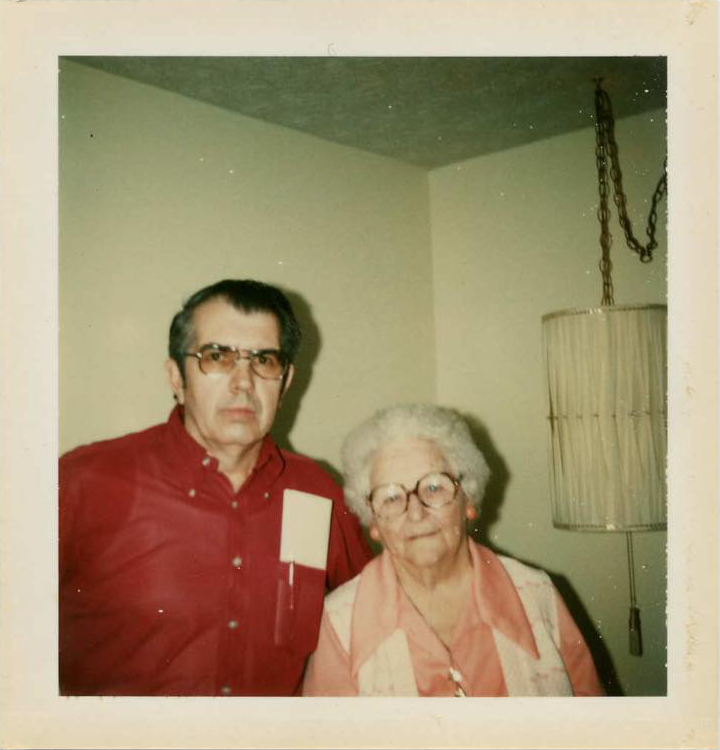 Blanche H. Bailey, the former Mrs. Riley Puckett, and Robert Puckett, at her home in Riverdale, GA. April 29, 1979. From the collection of Roy Robert Puckett, reproduced with permission. May the seventh marks the 122nd anniversary of the birth of country music legend Riley Puckett. George Riley Puckett was born May 7, 1894 in Dallas, Georgia. He lost his sight as an infant after a doctor threw salt in his eyes as an ill-fated attempted treatment for an eye infection, and was educated at the Georgia School for the Blind in Macon, Georgia (same place where Blind Willie McTell was educated). As an adult, Riley’s clear baritone singing voice earning him the title of the “Bald Mountain Caruso.” As talented with a guitar as with his voice, he sang, yodeled, and played both solo and with the string bands of some of the finest fiddle players of their time, Gid Tanner and Clayton McMichen. Puckett began playing on WSB in Atlanta during radio’s infancy in 1922, and recorded his first sides for Columbia in 1924, backed by Gid Tanner, starting with the same song that began his contemporary Fiddlin’ John Carson’s recording career, “The Little Old Log Cabin in the Lane”. In the 1920s, Puckett was one of Columbia’s most popular hillbilly artists, but parted ways with the company in 1931, and recorded for a number of other record labels thereafter, ultimately leaving him with a recorded output of several hundred sides, solo and as a sideman. Puckett continued to record sporadically throughout the Great Depression and into the 1940s. In 1946, he died of blood poisoning from an untreated boil. The last time we heard from ol’ Riley Puckett was when we heard him sing one of his most popular and well remembered songs, Ragged but Right. Now, here’s another of his records that is a little more obscure. Columbia 15324-D was recorded October 22 and 23, 1928 in Atlanta, Georgia by Riley Puckett. Last time we heard Kelly Harrell’s “Away Out On the Mountain”, it was sung by Jimmie Rodgers. As much as I like Jimmie, I think Riley does excellent work with this song too. 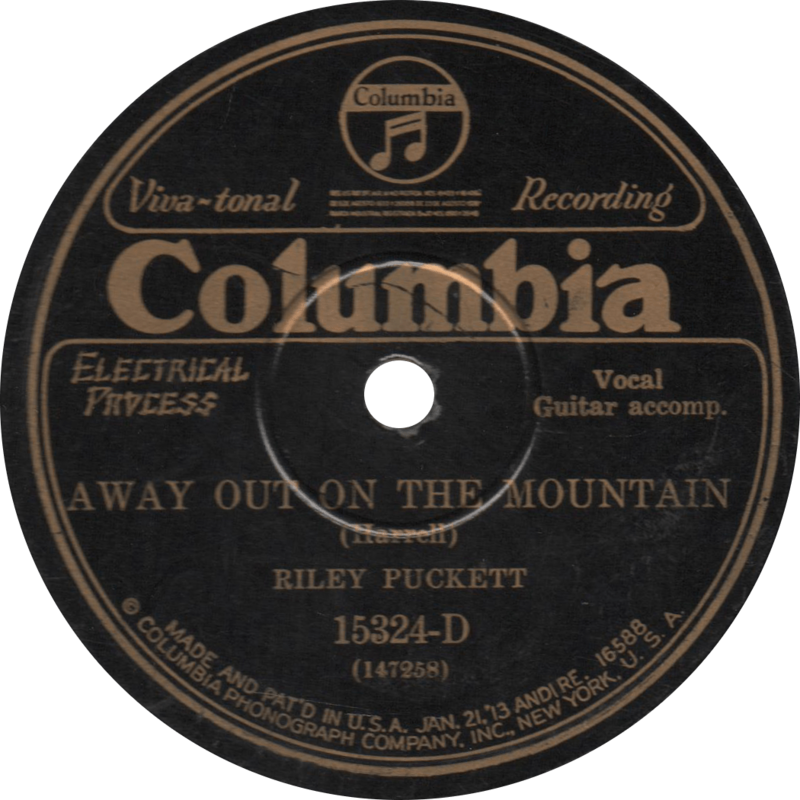 Away Out On the Mountain, recorded October 22, 1928 by Riley Puckett. Next up is “The Moonshiner’s Dream”, taking us back to the days of Prohibition. 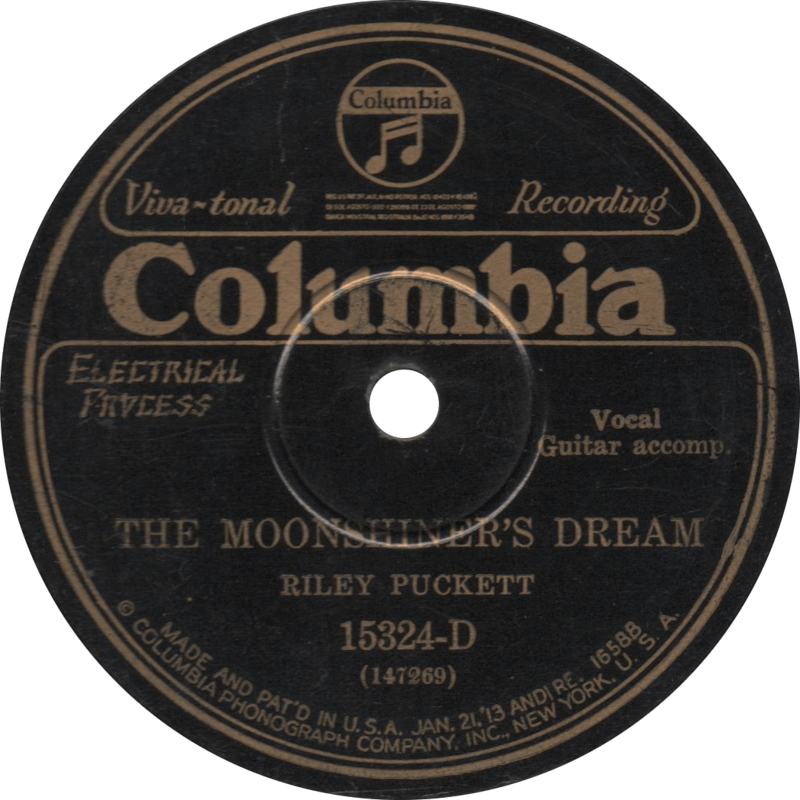 The Moonshiner’s Dream, recorded October 23, 1928 by Riley Puckett. This entry was posted in Records and tagged 1920s, 1928, Atlanta, Columbia, Hillbilly, Kelly Harrell, Riley Puckett, Singing with Guitar by R. Connor Montgomery. Bookmark the permalink.